Tregavone is a campsite offering camping for Touring Caravans, Tents and Glamping in St Merryn, Padstow, Cornwall. 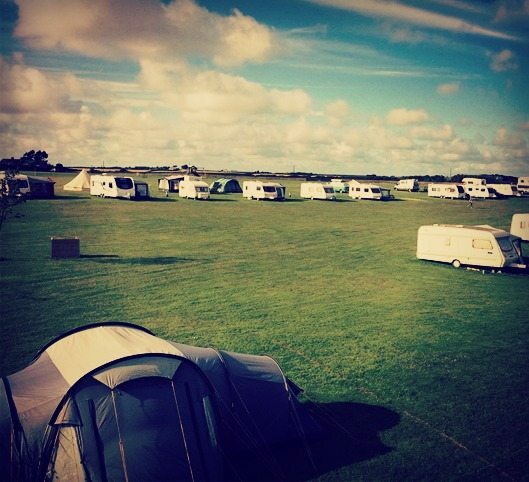 Our family campsite is the perfect location for your holiday in St Merryn. Located close by to the historic harbour of Padstow our campsite offers the perfect getaway for you and your family in Cornwall. We are a family and dog friendly campsite for the perfect holiday in Cornwall. Want to have a cost effective holiday home by the sea? Then get in contact with Tregavone to organise a seasonal pitch for your caravan…we can even store it here for the winter! Our prices are incredibly reasonable; we want to allow families to experience the beauty of the north Cornish coast feasibly. Come and experience your free range holiday at Tregavone, St Merryn near Padstow. Contact the Dennis family today and make some incredible memories. Give Glamping a try you will love it!